New catalogue from TME is here! The world is full of legends. Some of them are long gone, while other are alive and continue to inspire and amaze. We proudly present one of them - the latest edition of TME catalogue. This is the 16th edition of this unique publication, which is one of a few that in today's digital world still remain in their original, pure form. 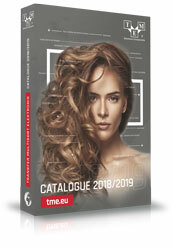 TME catalogue is not only a list of rich product offer, but also a mirror that reflects the changes that take place on the market of electronic components. It was released during the AUTOMATICON fair in Warsaw, i.e. the most representative forum for industrial automation sector in Poland. The promotion cannot be combined with any other discounts. Single-use discount code entitles to purchases with a discount of up to 15% and can be redeemed exclusively via our webpage till 30.04.2018.